Bird Rescue – What to do and Where to go!! This is Macho Mama, I named her that because she survived a hit to the window of my house. Kudos to my cat Mr. Talk for noticing her outside the window and getting my attention. She was moving and breathing but obviously hurt. I brought her in and kept her over night and followed the instruction on the DFW Wildlife Coalition site, she seemed to be doing better but I knew she might need professional help. Searched the net, love the World Wide Web, what do we do without it!! Found the perfect place that rescues birds, dropped her off there yesterday, they said she is going to recover well and probably had trauma to her head which will take a few weeks to heal. They gave her a shot and I am going to check on her from time to time. 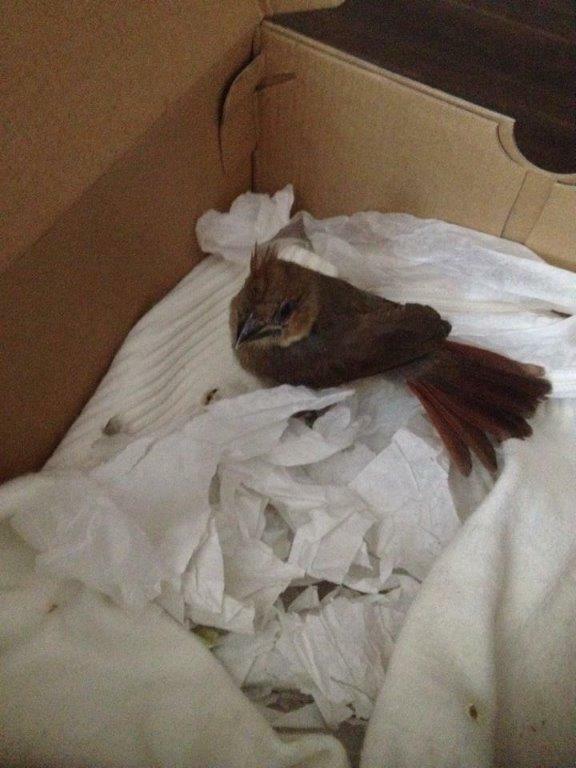 Wanted to share these sites, because while as I was there, three other people brought injured birds from hitting their windows, apparently it is very common. The place is small and tucked in the woods in Hutchins (about 45 minutes from Plano). They do all of this based on volunteering, no charge, they do accept donations. They have some amazing birds there including a bald Eagle. I wanted to put the word out, I have included the links and some photos of the birds. If you love birds and want to help them or do volunteer work, this might be a good place to start. I miss Macho Mama but I feel good knowing she is in good hands!! And here are the photos Rogers Wildlife Rehabilitation Center.